For authors with similar names, see Author:Anthony Ashley Cooper. 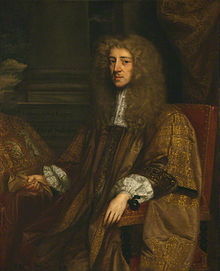 1st Earl of Shaftesbury; PC, known as Sir Anthony Ashley Cooper, 2nd Baronet, from 1631 to 1661 and as The Lord Ashley from 1661 to 1672, was a prominent English politician during the Interregnum and during the reign of King Charles II. A founder of the Whig party, he is probably best known as the patron of John Locke. "Cooper, Anthony Ashley (1621-1683)," in Dictionary of National Biography, London: Smith, Elder, & Co., (1885–1900) in 63 vols.